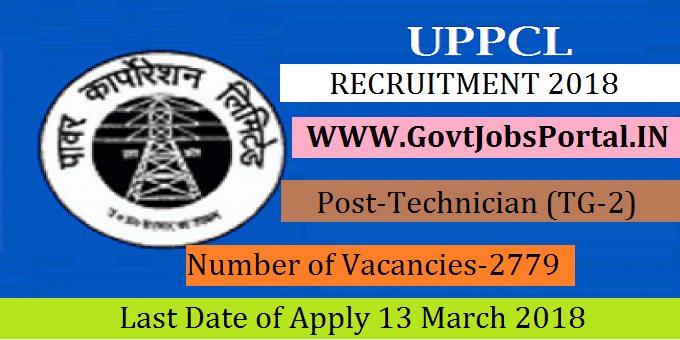 Uttar Pradesh Power Corporation Limited is going to recruit fresher candidates in India for Technician (TG-2) Posts. So, those candidates who are willing to work with this organization they May apply for this post. Last Date of Apply 13-March-2018. Total numbers of vacancies are 2779 Posts. Only those candidates are eligible who have passed 10th class pass with Science & Mathematics and ITI in relevant Trades. Indian citizen having age in between 21 to 40 years can apply for this Uttar Pradesh Power Corporation Recruitment 2018. Educational Criteria: Only those candidates are eligible who have passed 10th class pass with Science & Mathematics and ITI in relevant Trades. What is the UPPCL Selection Process job?